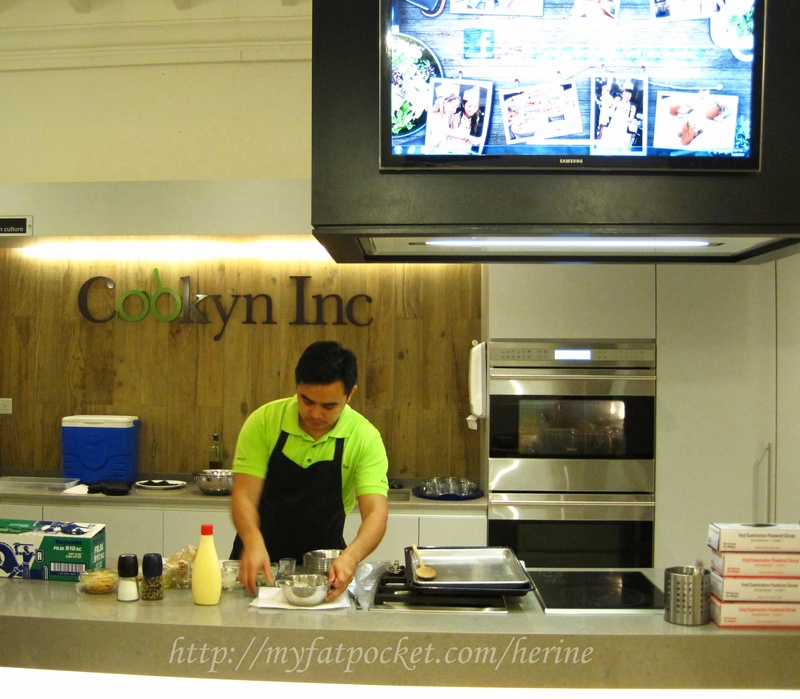 The other day when Smith extended the invitation to me for this event held at Cookyn by DHC & Watsons, I was puzzled… what has cooking got to do with beauty! Walked a great distance to this secluded awesome place! 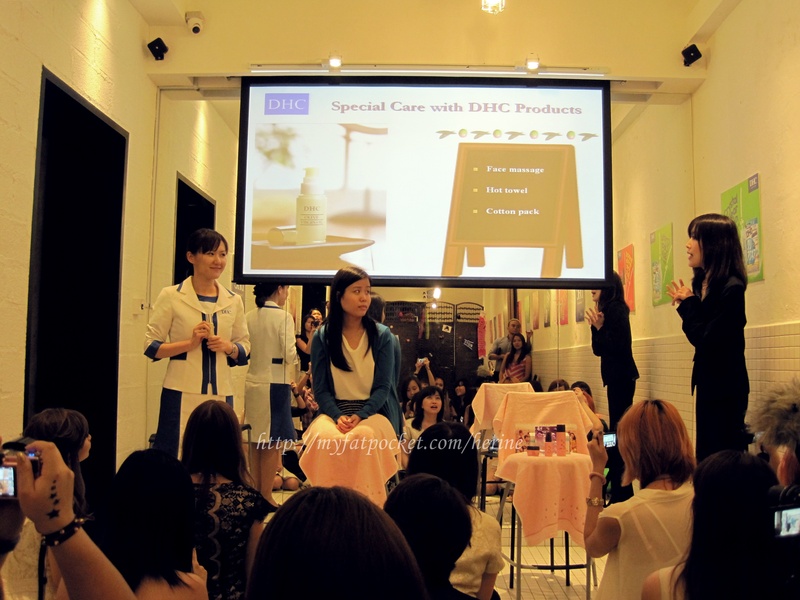 Presentation by Micheas Chan, Marketing & Merchandizing Director of Watsons Singapore. 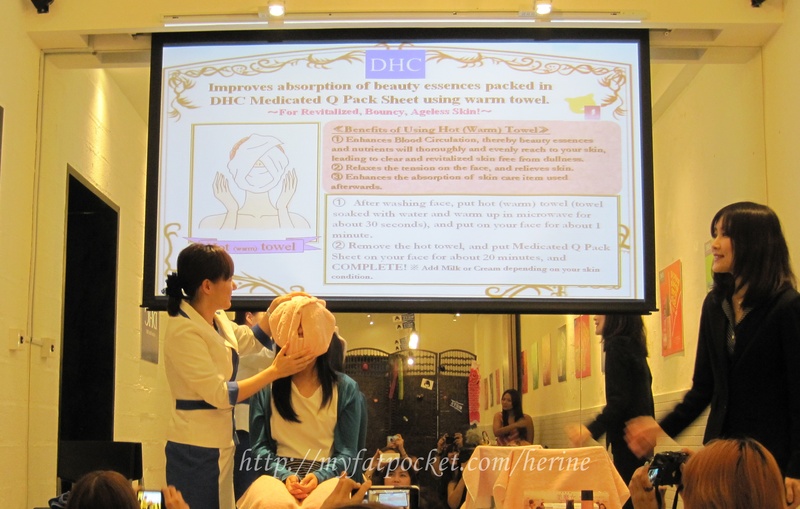 Presentation & demonstration by Ms Kimiko Ikeda, DHC Beauty Advisor from Japan. Self-facial massage using DHC Olive Virgin Oil for draining off water retention & firming effects! Using a warm towel to improve absorption of beauty essences. 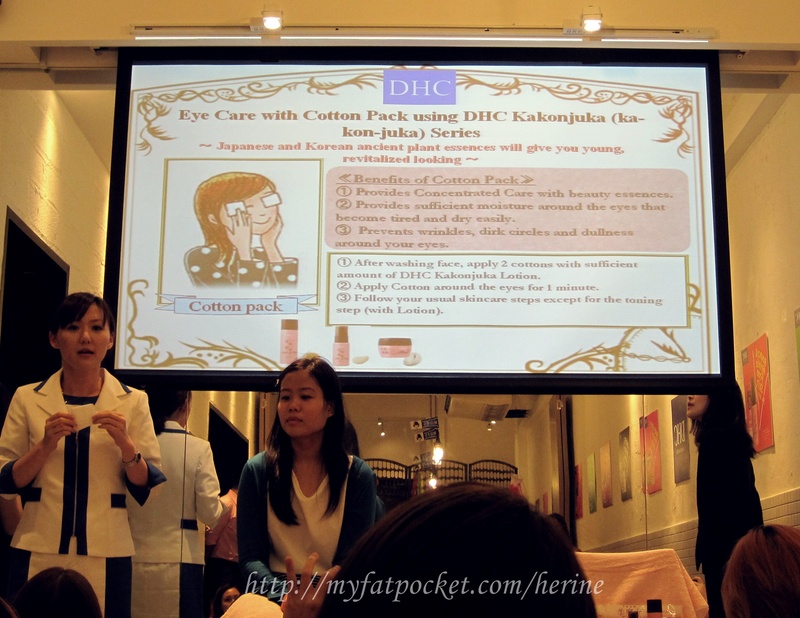 Eye care with cotton pads using DHC Kakonjuka series. 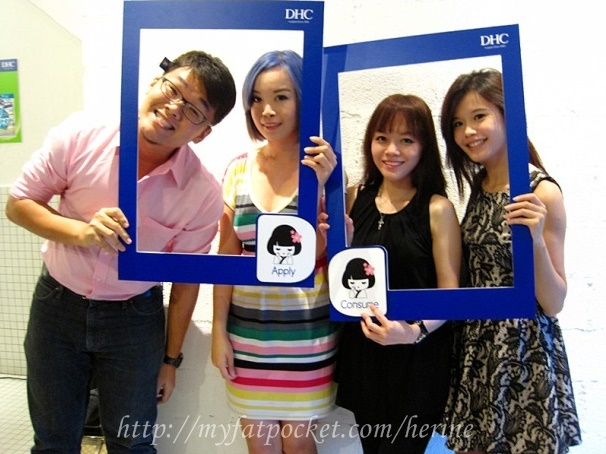 DHC Age-Defying Beauty Cooking Session! Ingredients were all nicely prepared for each table. Can’t see? Check out the TV screen above! With my cooking partner in crime, Elaine! 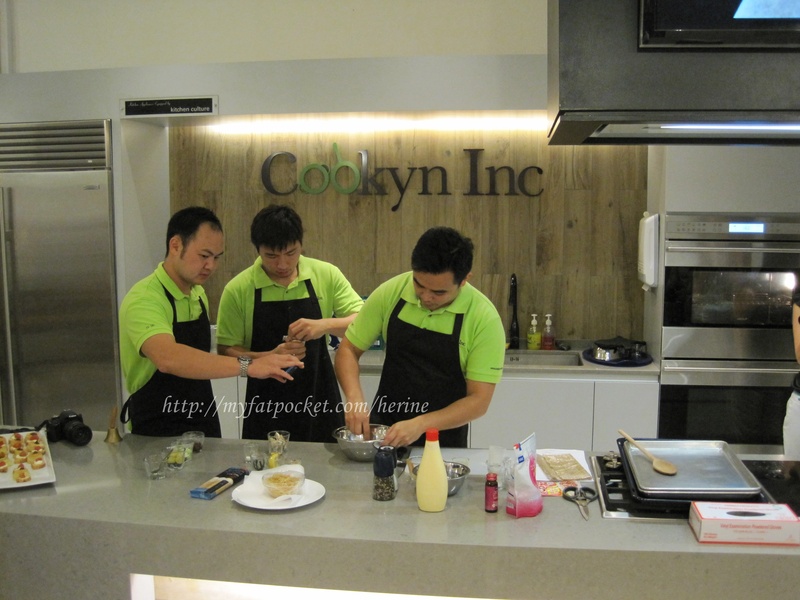 Will we cook up a storm?? Elaine was trying to be a milk dutch lady? LOL! Don’t play play. I am a chef okay! We were so busy fooling around that we didn’t even pay 100% attention to the lesson! Uh-oh! 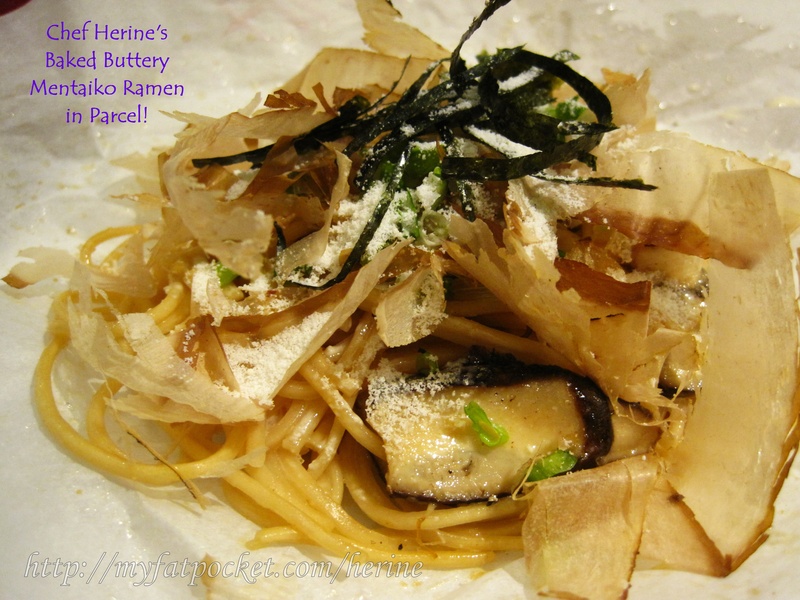 Nevertheless, Chef Herine’s Baked Buttery Mentaiko Ramen is yummy! 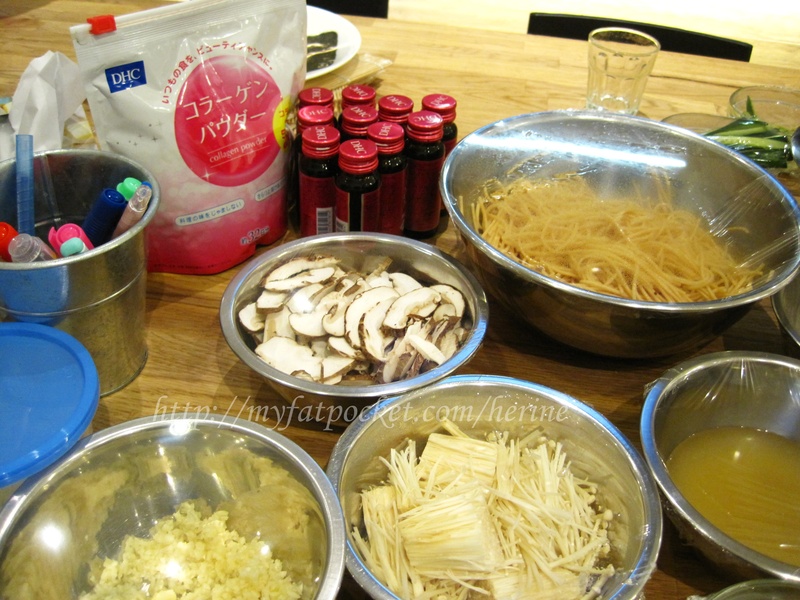 I added DHC Collagen Powder in it and it doesn’t affect the taste of the ramen! Next, we were taught how to make sushi! 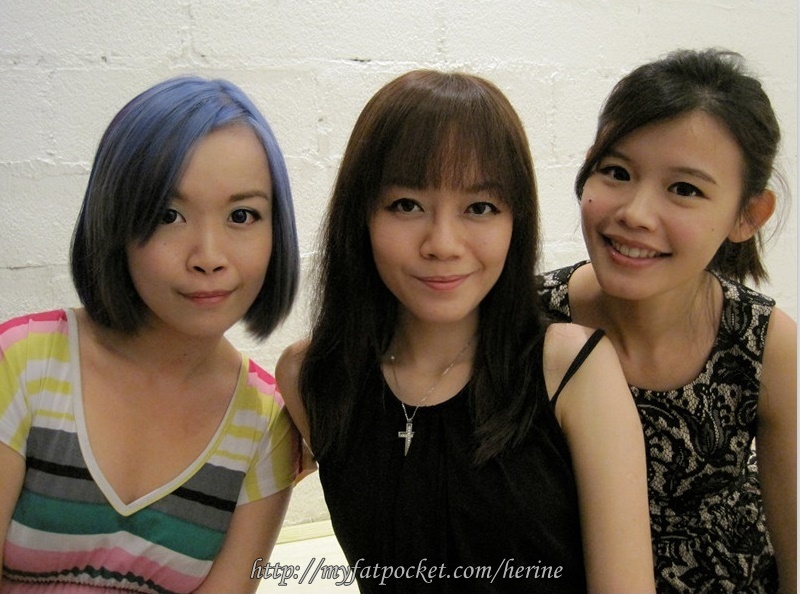 Woots! 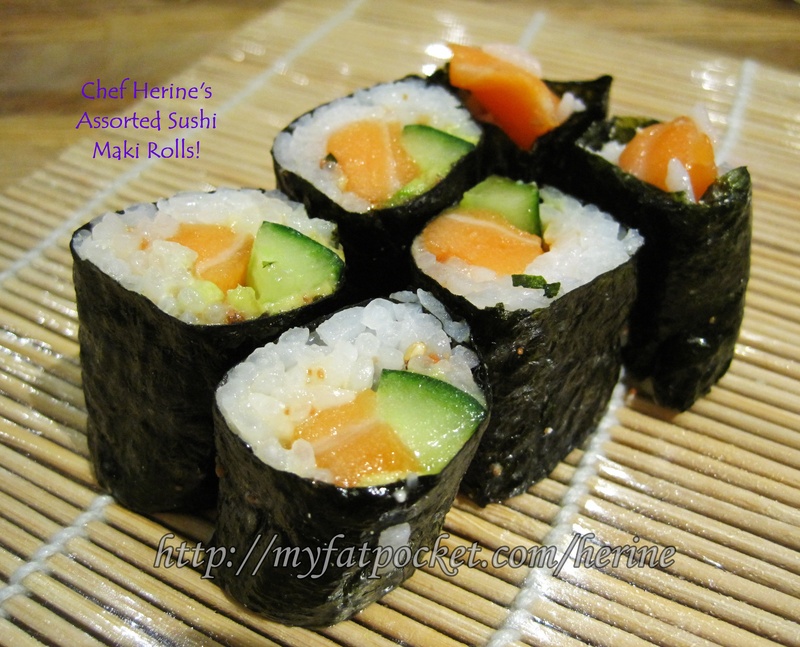 My Assorted Sushi Maki Roll with DHC Collagen Powder! 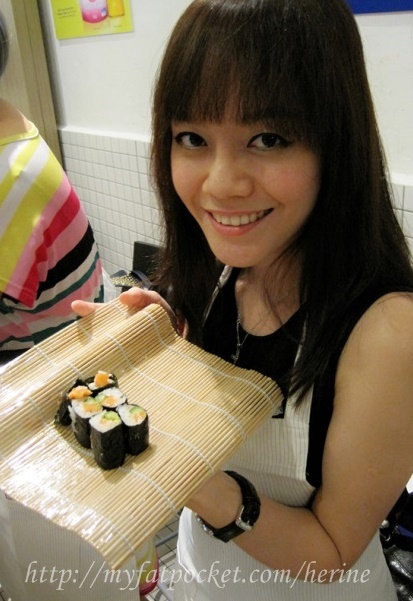 Eating sushi can make me beautiful too! 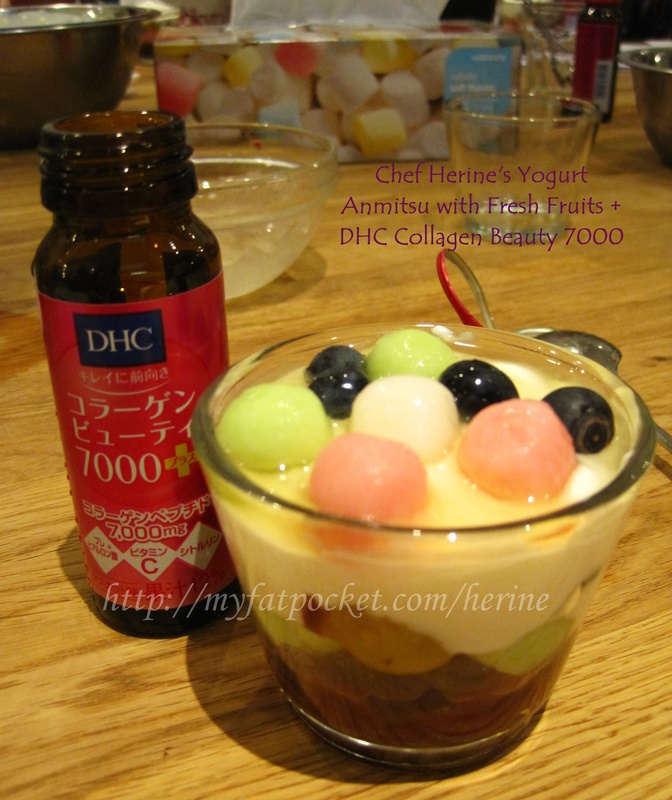 Yogurt Anmitsu with fresh fruits + DHC Collagen Beauty 7000+! 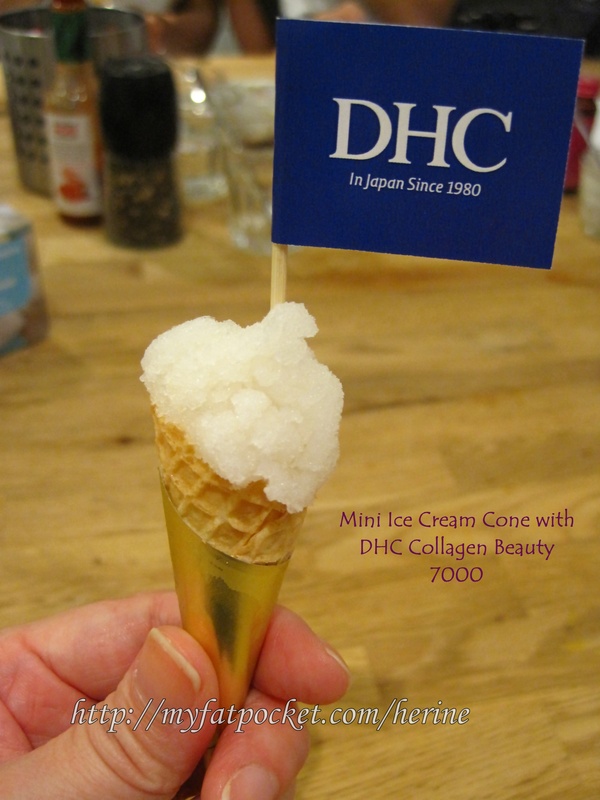 The mini Ice Cream cone tasted good! 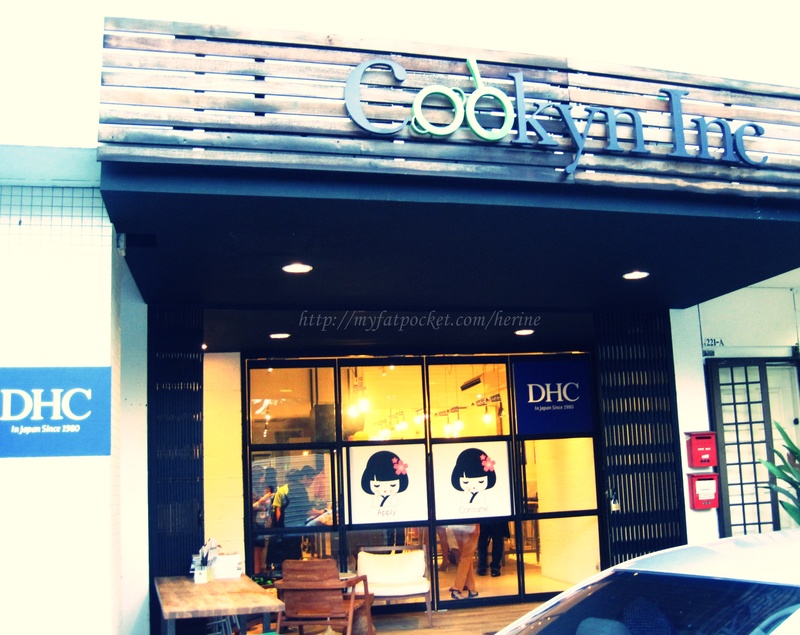 The people at Cookyn added DHC Collagen Beauty 7000+ into it! 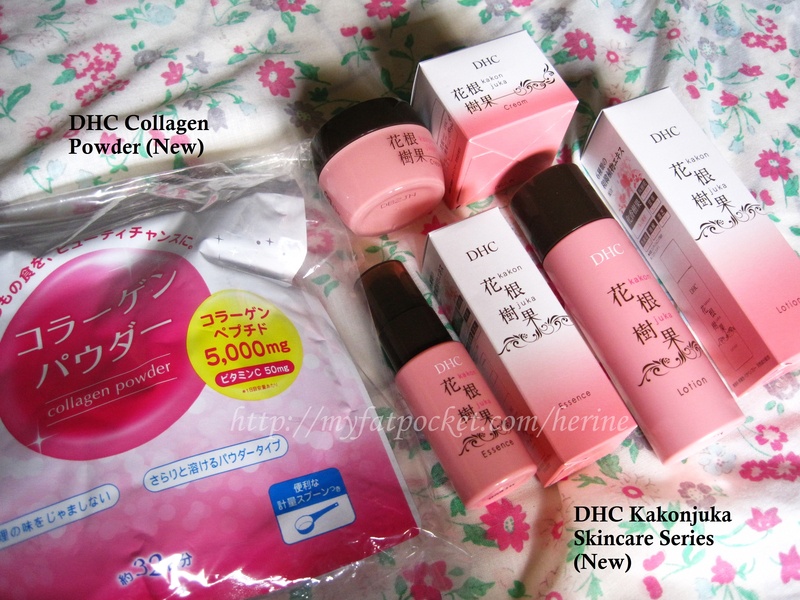 Thank you Watsons, DHC & Cookyn for the collagen-infused night! I had so much fun! Description: A high quality health food by DHC, DHC Collagen Powder uses carefully selected natural high-quality collagen specially extracted from fish scales which aims to achieve younger, smoother and tighter-looking skin, through regular consumption. 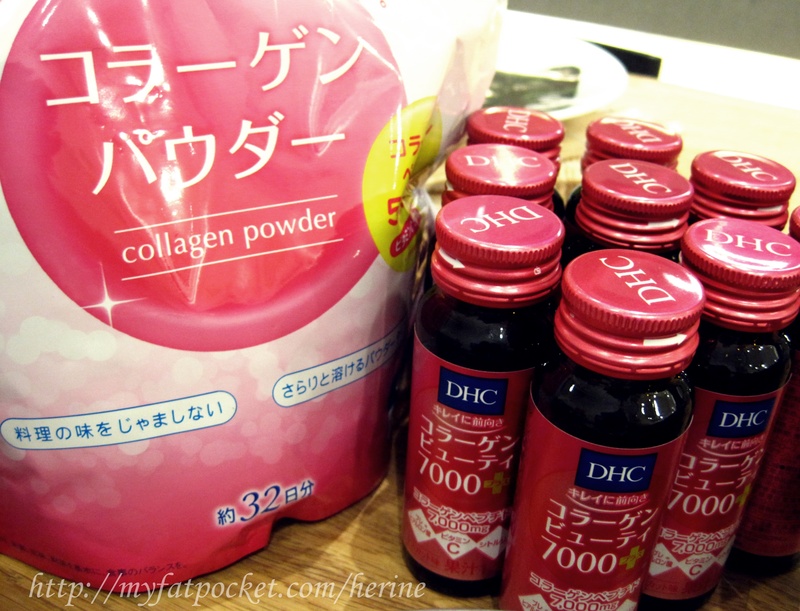 I like how un-smelly DHC Collagen Powder is! There are other brands’ collagen that “stinks” a lot. Who likes fishy smell? Not me for sure. 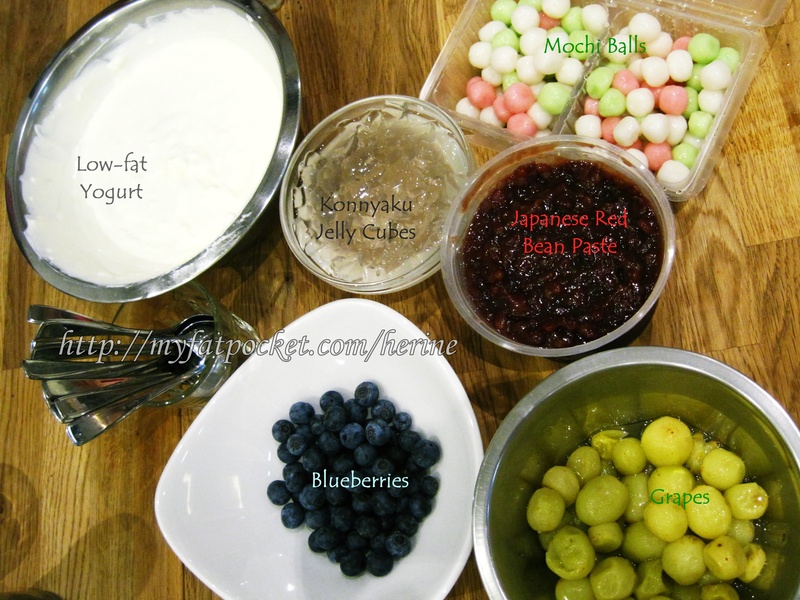 I have tried adding the powder to my coffee & tea other than the ramen & sushi featured above & they tasted fine to me. Beauty inside covered, now time for some external beauty! 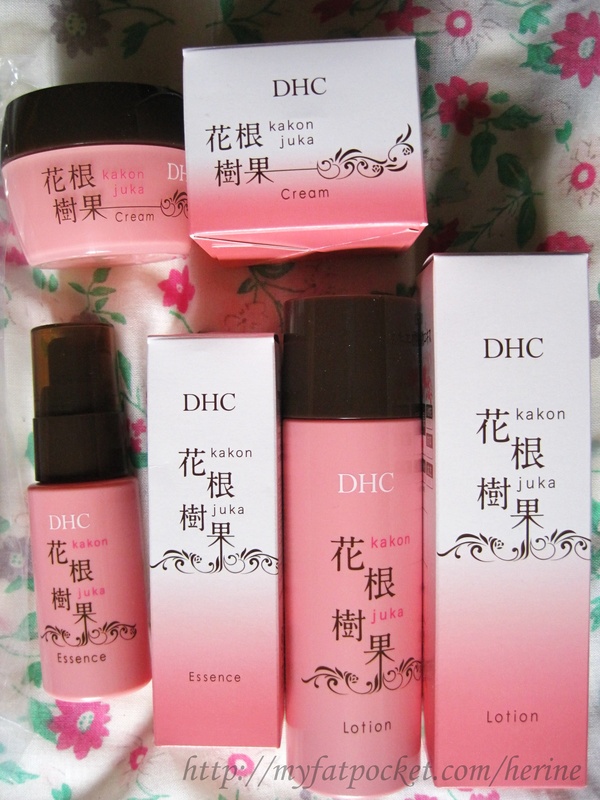 The Kakonjuka Range, DHC’s new Japanese-Korean botanical series, is a functional skincare series which fights signs of ageing. Formulated with six carefully selected Japanese and Korean botanicals (extracted from the plants’ nuts, leaves, stems, flowers and fruits), ingredients such as Olive Leaf Extract and Trehalose derivatives provide a multi-faceted moisturising effect in the skin’s stratum corneum, improving skin firmness and elasticity. The new range comprises three specially formulated products which work synergistically to soothe, moisturize and promote collagen and elasticity. I tried soaking 2 cotten pads with the lotion & placed them over the eyes for 2 minutes and the eye area seems slightly brighter! 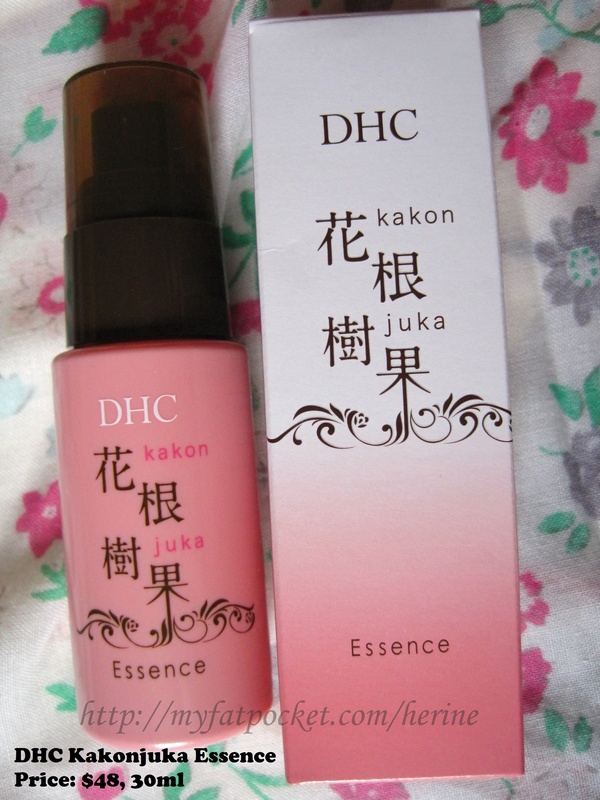 Some toners aren’t suitable for the delicate eye area but this Kakonjuka Lotion hydrated the skin very well! The toner also leaves the skin feeling clean & refreshed. This woody-smelling essence penetrates fast and gives the skin sufficient moisture. With a lymph draining massage, the essence lifted the skin, and thus, firming it. Packed with moisture indeed! Glides well onto skin, however, can be a little too greasy for my combination/oily skin. 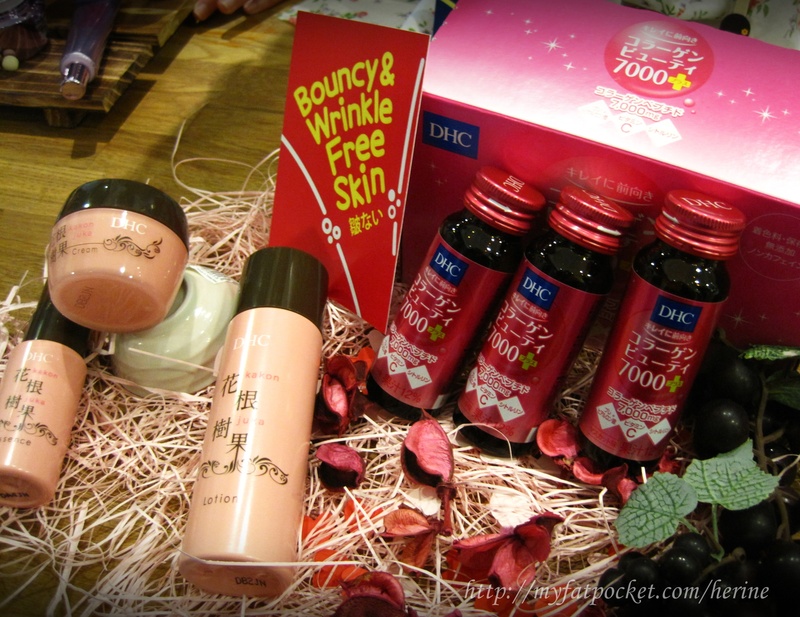 DHC flagship stores retailing the full range of DHC products including the latest ranges – DHC Kakonjuka Range, DHC Collagen Powder and DHC Cleancea – can be found at Watsons Bugis Junction, Compass Point, ION Orchard, Takashimaya S.C and Raffles City. 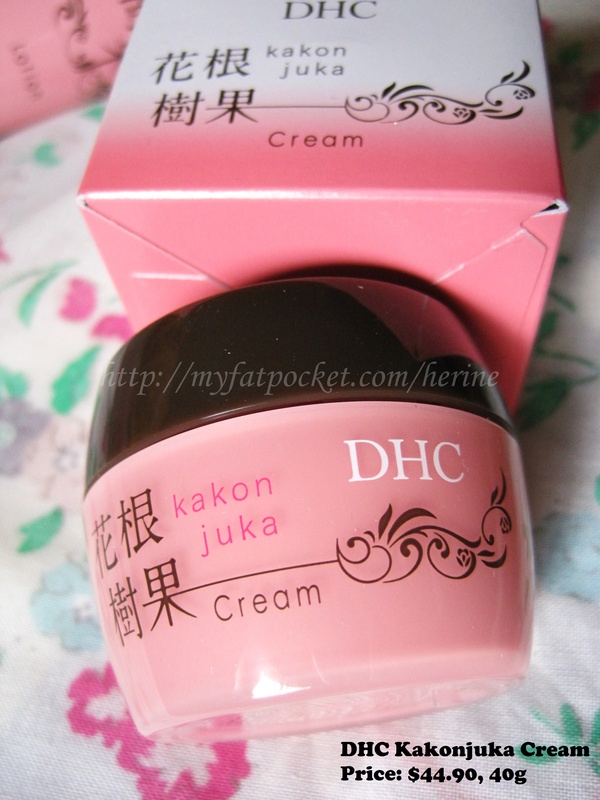 DHC products can also be found at the key island stores at Watsons Choa Chu Kang Lot 1, NTUC Hougang Mall, IMM, Jurong Point, Parkway Parade, Tampines 1, Tampines Mall, Vivocity and East Point.